Go to your dashboard from the web portal. 2. Click on your jobs report box. 3. 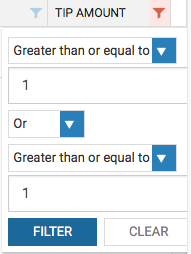 Click on the table columns and on the drop down check the box next to tip amount. 4. 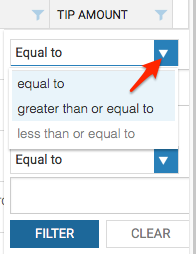 Click the drop downs to filter what you are looking for. 5. 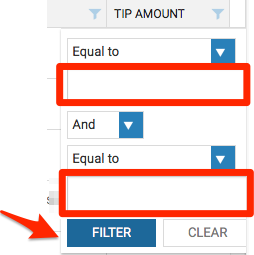 To see all tips, filter by greater than or equal to and set to 1. 6. After choosing the range, click filter.